‘Celebrating Asian leaders in care’ is the latest instalment in the Diversity in Healthcare networking series, brought to you by HealthInvestor UK in association with Barclays, CMS and JLL. This event will celebrate the role of Asian leaders in the UK care sector. The ‘ethnicity pay gap’ is a key issue highlighted by government with a formal consultation on the matter closing in early 2019. Therefore this event will also discuss how the government’s aim of “ensuring that people from all walks of life have the opportunity to realise their potential” is being met in the care sector. The Diversity in Healthcare series provides a forum for private healthcare companies, investors and industry advisors to examine how healthcare leaders can promote equality in the workplace. 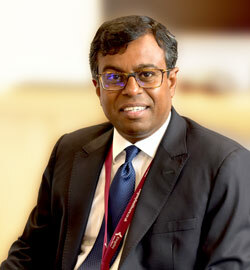 The event will feature a keynote address by Daya Thayan, founder and chief executive of Kingsley Healthcare. Daya will share his story of establishing Kingsley Healthcare in 1999 with his wife Sumi and growing a single home into a successful and innovative care provider, employing nearly 1,500 staff and caring for 1,000 residents in 27 homes across the country. Daya and his family – including his two sons Ewan and Cameron – have ambitious plans to double the size of the group over the next five years through new-builds and acquisition, keeping family values at the core of the company. Following Daya’s keynote address, HealthInvestor UK will host a panel of emerging leaders of Asian heritage from across the health and social care market. The panel will consist principally of dynamic leaders who are bringing fresh perspectives to traditional or family-run businesses but benefit from the rich tradition of Asian leadership in the social care sector. A wine and canapé reception will follow afterwards, providing ample networking opportunities. This instalment of Diversity in Healthcare event will be held at JLL’s offices at 30 Warwick St, Soho, London W1B 5NH on Tuesday 5 February 2019.